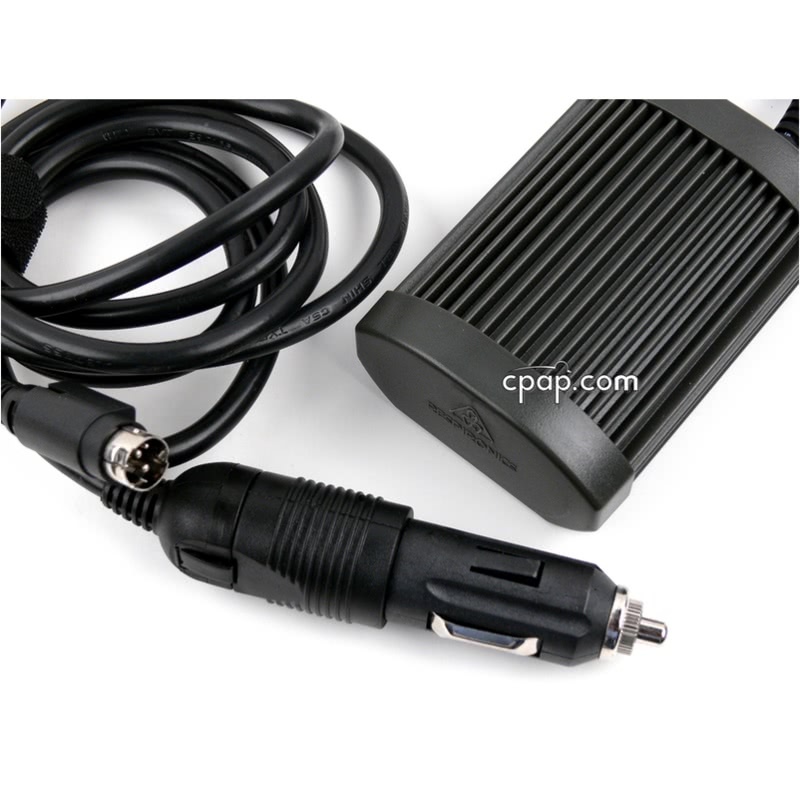 The DC Power Adapter Kit allows the Respironics BiPAP systems noted below to be powered from a 12 volt DC power source. 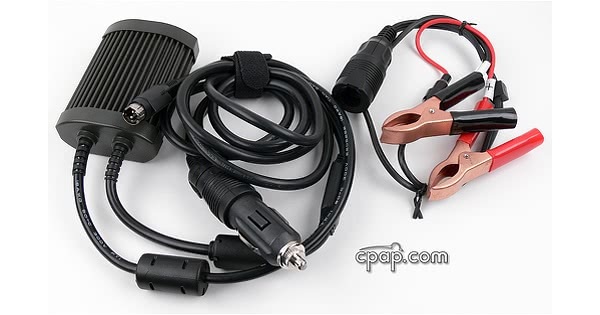 One end of the adapter attaches to the machine's 12 volt power jack and the other plugs into a socket similar to a car's cigarette lighter outlet. This package includes the DC Battery Adapter Cable. 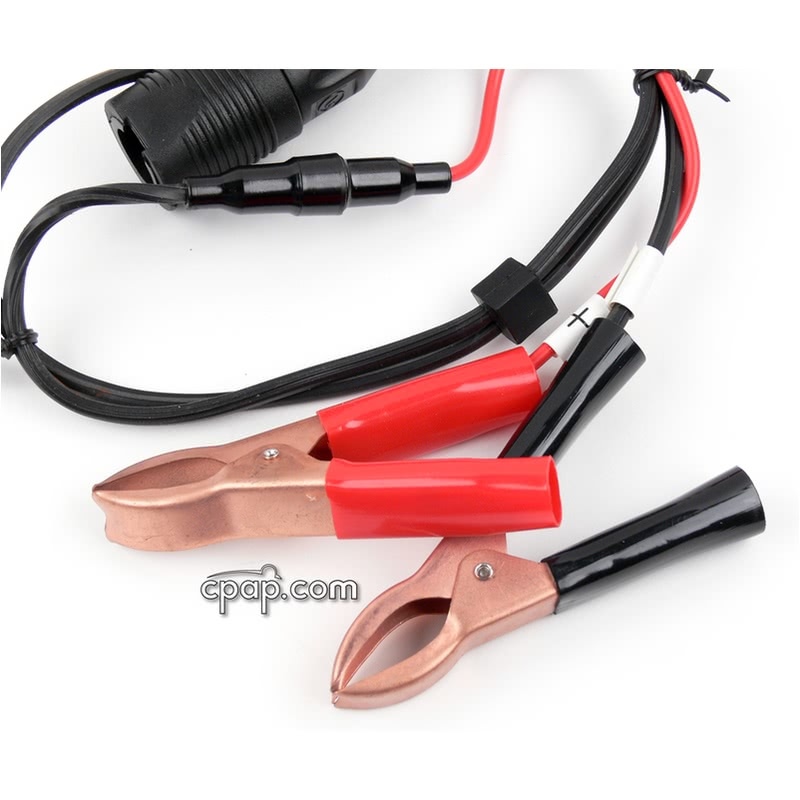 One end of the cable ends in battery clamps used to connect directly to battery terminals. The other end of the cable ends in an adapter to accept the Input End of the Battery Adapter Cable. 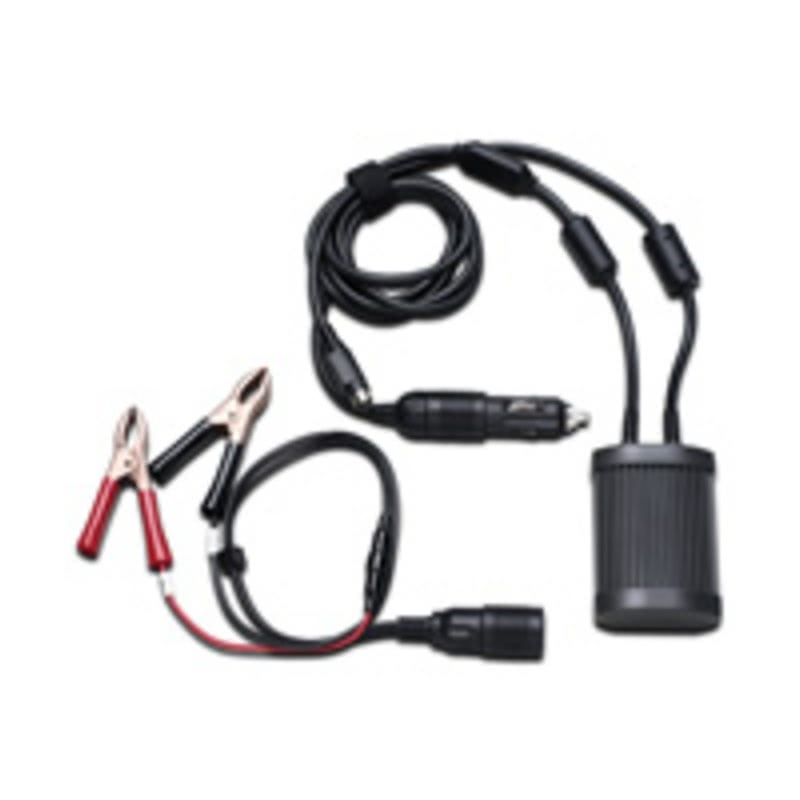 DC "Male end" cigarette lighter power adapter: The cable comes packaged in this configuration with the standard male end of a DC connection. The end can be inserted into a car power outlet. InPut End (as pictured in the Instruction Booklet): Remove the cylinder of the traditional male adapter end by depressing the release button near the cable attachment. The DC Adapter Cable will now fit into the included DC Battery Adapter Cable. Important Note: This power adapter is for use only with the original REMstar BiPAP units and is not compatible with the M Series, System One, or System One 60 Series lines of machines. The Synchrony BiPAP and BiPAP ST does not use this cord. 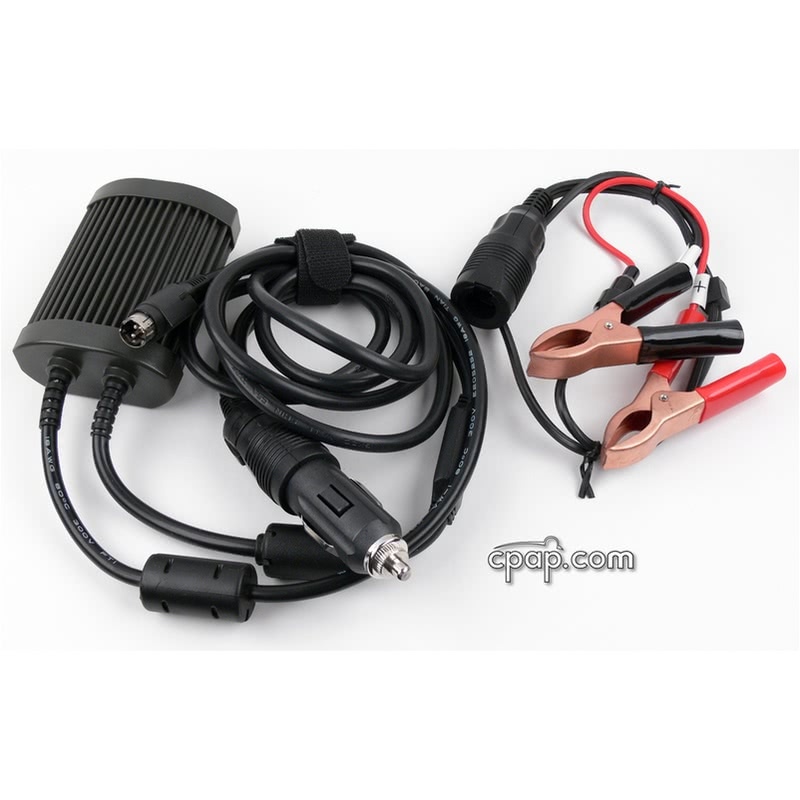 In order to operate the Synchrony BiPAP and the BiPAP ST from a DC power source, you will need to use the 12 Volt DC Power Cord and change the fuse within the cord's connector to the 7amp fuse that comes with the 12 Volt DC Cord package. The RP-DC Power Adapter Kit for Respironics Bipap Machines cannot be used power a machine and integrated heated humidifier. In order to power both the machine and the heated humidifier an inverter is needed. To use the included Battery Adapter Cable with the Power Adapter the end must be REMOVED from the cigarette lighter adapter.